We spent years perfecting this design to create a safer, eco-friendly system for sanitizing large areas. 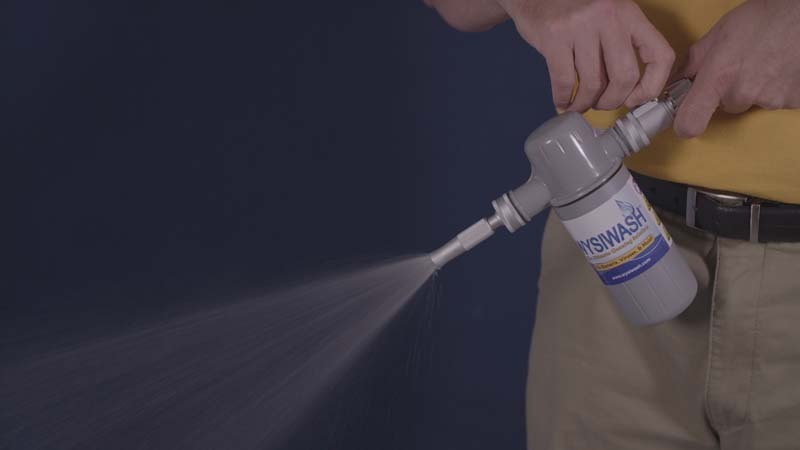 Watch our quick Start Video get up to speed on how to correctly use Wysiwash. 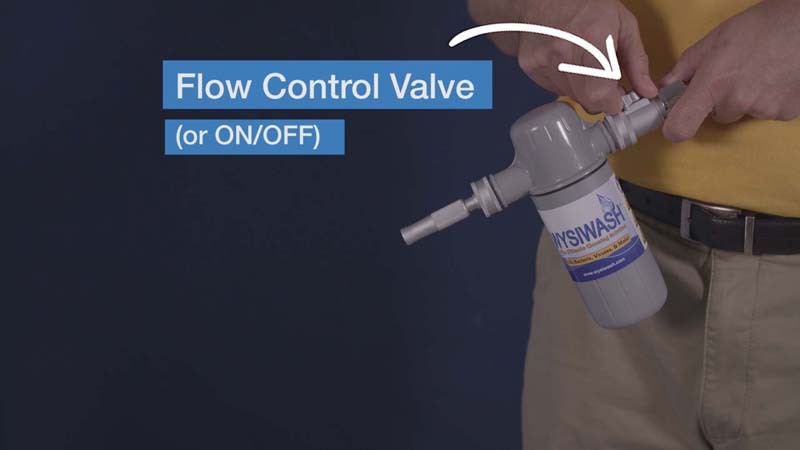 We want you to get the most out of Wysiwash, so check out this guide and share it with your staff. No headphones? No problem, click CC to turn on subtitles or scroll down for the text version of our Quick Start Guide below. Step 1: Turn on the hose. Step 2: To turn on the unit, twist the valve on top of the nozzle. Begin with a gentle mist, not a targeted spray. Misting first prevents pathogens from becoming airborne. Step 3: PRIME: Spray into a drain or bucket to prime the system. This ensures that the solution is at an effective concentration. New Caplet: Prime for 1 - 2 minutes. Previously used caplet: Prime 30 - 40 seconds. Step 4: After the whole area has been sprayed with a gentle mist, use the pressure sprayer on heavily soiled areas to remove any remaining organic waste. 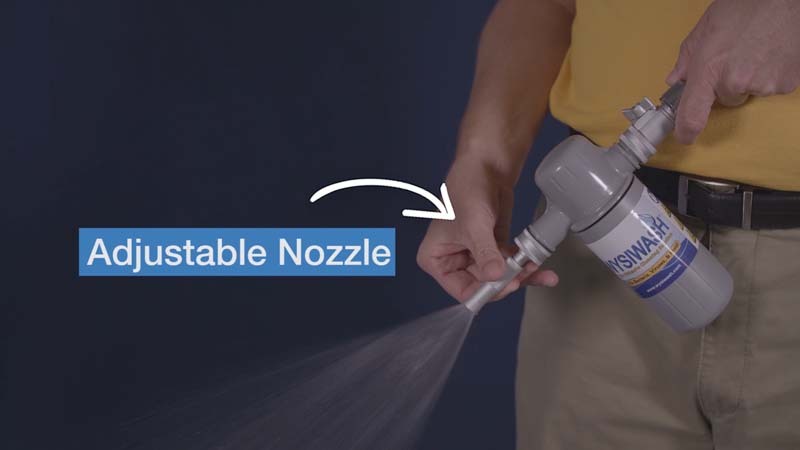 To adjust the spray, twist the sleeve on the stem of the nozzle adjusts the spray. Step 5: Allow Wysiwash to set for 2 minutes. Step 6: Either squeegee, or allow the area to completely air dry.